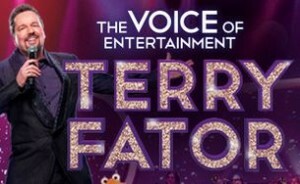 Terry Fator: The Voice of Entertainment, save now! Terry Fator is performing ongoing at the Terry Fator Theatre at the Mirage and Casino, Las Vegas. This show features a lot of performers but the vast majority are not human, but they seem like they are. Fator’s Friends is what He calls them, they are His prized puppets, they are his family. Plenty of Fator Fan’s come to the show to see the puppets and know them by name. He even has a puppet that does a Terry Fator impression, that’s something You don’t see too often.